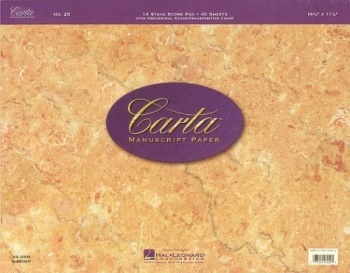 (Carta Manuscript Paper). No. 25. Score pad, 14-3/4 x 11-1/2, 40 sheets, 14 staves, includes Orchestral Range/Transposition Chart.